An improvement in your home’s aesthetics. Vinyl windows are available in a wide palette of colors and textures that harmonize with your home’s aesthetics. Today’s vinyl windows provide a high degree of energy efficiency and can be custom-built in virtually any necessary size or shape. We proudly offer Alside vinyl windows for their remarkable aesthetic beauty, energy efficiency and minimal maintenance. Wood windows add a time-honored, highly attractive look to your home. They’re elegant, and they offer tremendous insulating abilities, easy repairs, low maintenance and high durability. We feature Andersen, Pella and Marvin brands of wood windows. Fiberglass windows offer many advantages, including exceptional durability. Fiberglass windows also are strong and insulating, and they resist moisture condensation. We are proud to offer the industry’s premier brand: Integrity by Marvin. Why Partner with the Professionals at Siding & Windows Group? If you need replacement windows in Northbrook, choose the area’s top vendor for window installation, Siding & Windows Group. We have a strong reputation in the Northbrook area, and we are committed to your 100-percent satisfaction. Why do hundreds of customers choose us? Our perfect approval rating, reputation and three decades of experience. 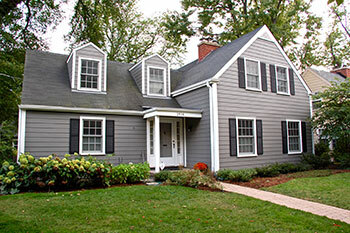 We’re fully licensed and bonded, and we’re a recognized leader in remodeling, siding and window replacement. We have a consistent record of recognition throughout the industry, including the GuildMaster Award from GuildQuality for 2010 through 2015, a Better Business Bureau A+ rating, the Angie’s List Super Service Award for 2010 through 2014, and many others. We offer financing options through Symphony Bank, including a 0-percent rate for a year. We offer exceptional craftsmanship, and we guarantee our products and our work. Look to our professional installers to enhance your home’s aesthetics and energy efficiency with beautiful replacement windows. To learn more or to receive a free in-home estimate, call us today!